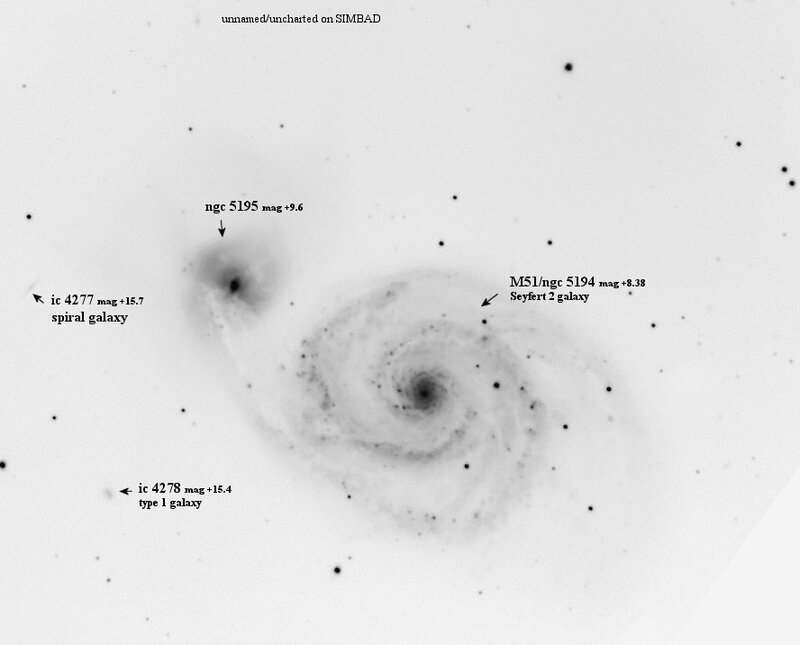 Whirlpool Galaxy M51 is always a 'work in progress' galaxy ! It is good to practise on due to its position in the sky. Post-processing AA4, stacked , DDP, Unsharp masking, mild Maximum Entropy, curves in PS2. 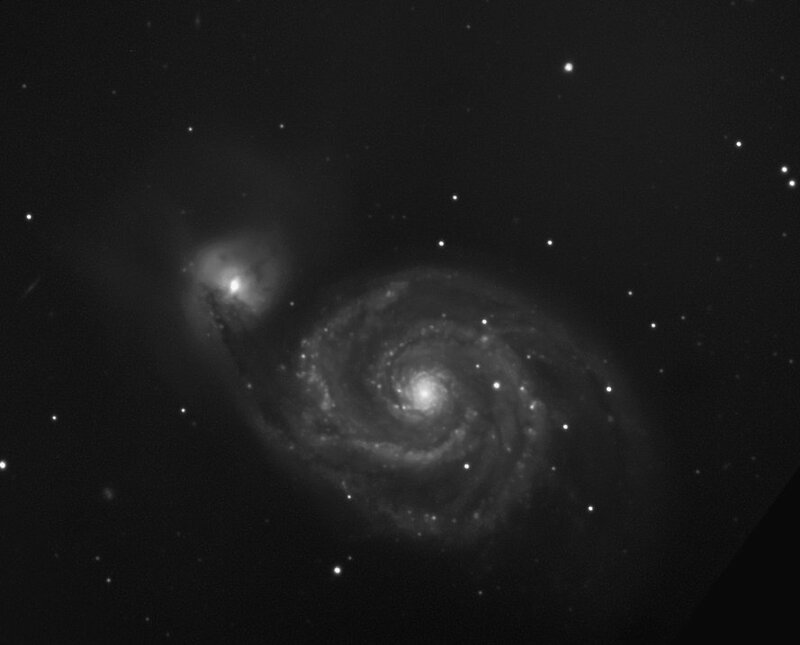 The reverse image brings out some of the fainter galaxies and detail in m51.